Have been deciding wether or not to share this part of the story. 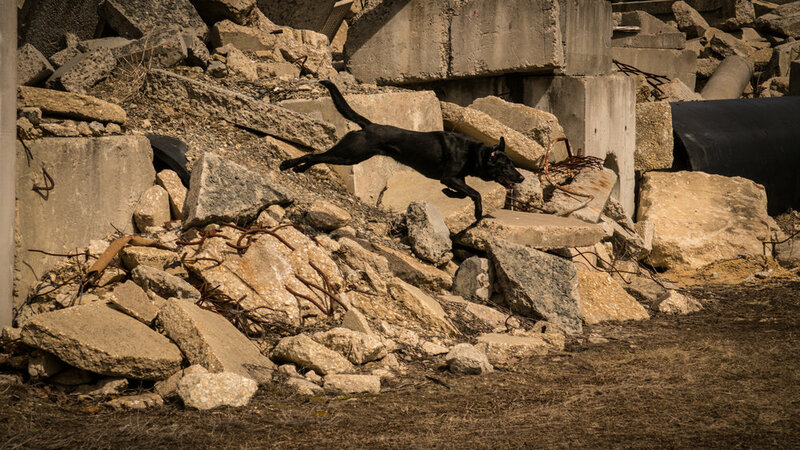 The trials and tribulations of a disaster working dog as he nears retirement. They live incredible lives, and do things for us that we will never be able to reciprocate. We are merely human. I've had a dog with this before. I took a veterinary ultrasound certification course some years ago, and therefore spent a lot of time practicing my skills on my personal dogs. One of them, an 11 year old Golden Retriever. Of course if you look hard enough, you will find something. We all know the health reputation of Golden Retrievers. Cancer is prevalent, and you can imaging my feelings when I found a small nodule in his spleen. Too small to really get a good needle sample. 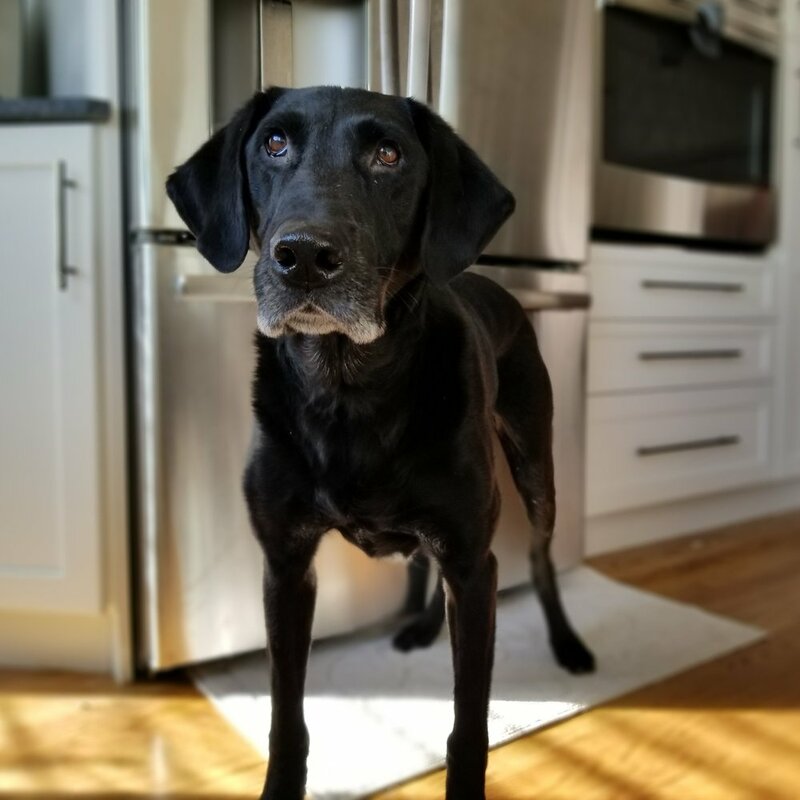 Considering his age, breed, and knowing how difficult it can be to get a diagnosis of hemangiosarcoma (HSA) with a needle aspirate, we decided to remove the entire spleen for biopsy (if you aren't aware, dogs don't really need their spleen to survive). Biopsy results: Lymphoid Hyperplasia. Not cancer. He lived many more years and died (not of cancer) at almost 17 years of age without his spleen. A very long life for a golden. While we don't know if he would have ever gotten HSA of the spleen, I never had to worry about it after it was removed, and he lived much longer than any other golden I know (please don't get me wrong, I'm not advocating for routine splenectomy for all golden retrievers). Keep this story in mind as we jump back to Ben. I come across this paper, "a review of 100 cases of splenic hematoma", and a quote: "lymphoid hyperplasia was commonly associated with splenic hematoma". This quote is taken completely out of the context of the article, but stuck with me. Will Ben be predisposed to developing a splenic hematoma, later resulting in subsequent rupture and life threatening hemoabdomen? (I warned you to stop reading after Part I if you didn't want to hear a lot of irrational thoughts). Of course, like a lot of folks say when they weigh risk: You could get hit by a bus tomorrow, so might as well live life to the fullest. As you might imagine, this brings be through a series of thoughts about what is best for this dog, the dog we have committed to protect and steer through this journey that many working dog families take. We weigh the risks as a team. We consult with the internist, the radiologist, even the criticalists that are all professionally and some personally invested in Ben's well being. They talked me down off of the ledge of splenic rupture, suggested that the risk is actually quite small, and he's at just as much risk of injury from flying over the fence in our own yard. We also consult with K9 handlers that have had retired dogs, and reflected on our own history with previous dogs. So how do we decide when it is time to retire a working K9? When is the job just too much risk for the condition of the dog? Nobody wants to see a dog injured on the job unnecessarily. Some agencies have a flat retirement age, with no questions asked. 8 years, 10 years, or something around there. This makes budgeting for assets a little more predictable, but can take a perfectly capable and highly experienced team out of service for no reason other than a number. Others leave it up to the individual handler, or team veterinarian. Dogs are like people in that they are individuals. In spite of popular belief, some working dogs are perfectly happy sitting on the couch all day, and playing a little fetch in the yard while others would wither away into a puddle of anxiety at the thought of staying at home. Ben (front) with Working Dog Hopeful "The Dude"
Ben declared his position on retirement last week when we took the 2 young dogs out to training. The 2 older dogs (Ben included) were left behind at home. We almost never leave Ben behind. We arrived home a couple of hours later to the most unusual sound. I wish we had recorded it. It was like no other sound I had heard from a dog ever before. Of course Ben knew we were home as soon as the van pulled into the drive, or perhaps even earlier when we rounded the corner. We didn't even get to the door when he began screaming and wailing the most blood curdling sounds. This continued as we entered the house, walked through to get to the back door, and let all of the dogs out in the yard. It continued still, as Ben hunted desperately for a tug, and the sound again continued with the tug in his mouth as he's trying to shove it into our hands to engage in a session. It affected me profoundly. Ben is a bit of a drama queen under normal circumstances, but this was unlike any tantrum I had seen or heard before. We obliged him with a training session in the yard. He performed flawless directionals, retrieves, and a dozen ladder climb configurations, barking along the way with true Ben flare. Trying not to anthropomorphize, but it was clear to me that his current desperation to engage was amplified by the fact that we had left him behind that day. Ben performing a "direction and control" exercise. There is no way we can retire this dog with this much desire, and this much ability. We not only owe it to him, but we owe it to the survivors out there that will hope to be found.